I overspent for many years, then an unforeseen calamity forced me and my husband to deal with a crippling debt. We were forced to enter into an Individual Voluntary Arrangement (IVA) to clear our debts. Those five years taught me a LOT about myself, my attitudes and behaviour towards money, budgeting and spending, and about life itself. So I would like to share with you a few lessons I have learnt along the way. I never really learnt about budgeting when I was a kid and I wish I had. I got my pocket money and I spent it, rarely saving any of it. I’ve since learnt that if kids get a good grasp of money management when they’re young, they manage their finances much more competently in later life. Parents, teach your kids about money, particularly how to budget! Live your dream, live for the moment! That’s what we constantly hear, isn’t it? The trouble is, focusing on the present takes your focus off the future and prevents you thinking of ‘saving for a rainy day’. If you’ve managed your finances carefully, you’ll be far better placed to deal with any of these situations. Never mind the New Age Speak on ‘positive thinking,’ positive action is a far stronger ally. I once had an entry level job but shopped at places like Harrods, Laura Ashley and Fortnum & Mason and ate out every weekend. I loved high quality goods but wasn’t a smart shopper, and that was my consumer pattern for many years. Rein in your spending now and you will reap the rewards. If I love it and I’m really torn, I always think about it for a few days – I’ve often forgotten all about it later. Right now there’s a book that I really want to get, but I have plenty to read at the moment so I’ll ask for it as a Christmas present. There is no magic solution to make your debts disappear and you cannot depend on a lottery win. Getting out of debt isn’t easy and it takes a lot of determination and discipline. I hated being under the IVA at first, but managing your spending starts to become a habit very quickly. It soon becomes second nature. In fact, I found that finding ways to cut my expenses was a fun and rewarding challenge. The worst part was that first step of seeking help, but it turned out to be much easier than I thought it would be. Doing whatever you want to do is fashionable and being responsible is boring. That’s the mainstream message and I think it’s totally wrong. Some things in life need a bit of effort and determination. You won’t achieve them if you’re undisciplined. I would argue that reaching your goals through hard work is character-building, and that includes having the discipline to keep your finances in order. Following on from that, I’m a whole lot happier now that I have savings and spend as little as possible, compared to the days when I would shop until I dropped and had a mass of debt. I’m now in the driver’s seat, before I was a terrified passenger in a car heading for a crash. In recent years, I’ve been looking critically at what is going on in our society and culture that triggers people to buy things they don’t need. I’ve looked at advertising methods, celebrity culture and how emotion can overcome reason. Don’t take anything for granted! Question what you see in popular culture – and if you do just one thing, read about sneaking marketing tricks and sales techniques. If you learn how they hook you in, you’ll be better prepared to resist. I stupidly came off the housing ladder when rents were cheap. You may not want to think about old age, but just take a moment to consider how you might survive in old age if rents are at their present level, in relation to income. Research shows women are facing poverty in retirement due to lack of savings. Right now, owning a modest home by the time I reach state pension age is my number one priority. No matter how tight a budget I’m on, I want to achieve that one thing. If you’re a homeowner, do what you can to shield yourself against an unforeseen catastrophe which could lead to you losing your home, such as building up an emergency fund. Journalists may sneer at Britain’s ‘home-owning obsession’ as more people rent across the Channel, but those countries have far better laws covering tenant protection, longer guaranteed tenancies and caps on rent increases. There’s a lot of support out there. I never told anyone about my debt problem, I felt ashamed and alone. 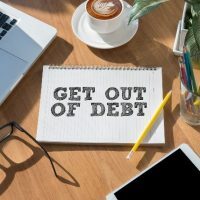 The truth is that far more people than you realise struggle with debt and you will more than likely know someone – a relative, friend or colleague – who is also silently struggling. There are many not-for-profit organisations like Step Change out there who can give you excellent help and support if you feel that you can’t do it alone. No matter how great your debt problem is, there is a solution to it and it can be turned around. 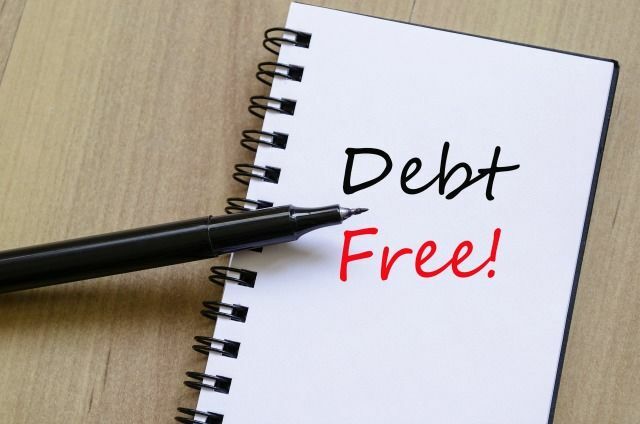 I pulled through debt hell with my husband; we cleared our debts through an IVA just over 2 years ago. Having worked in various jobs over the years and after a spell of extreme stress, we took a break and started housesitting. We currently have no household expenses but we manage to live on very little for all our personal expenses, and I have taken the opportunity of this break to reflect on the past and write. My experiences are set out in detail in my book: Get Out of Debt Hell: I did it, and so can you available on Amazon as an eBook and in paperback. 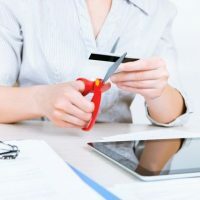 As well as recounting my years of debt hell and the solution, I look deeper into causes in society and culture that are leading people to overspend on things that they don’t need. It also gives you solutions, money saving tips and resources for help and support. You can also connect with Jen on her blog and on Twitter. Lots of great tips here. I totally agree with them all. You really dont know what is around the corner. I learned the hard way too! What a very informative guide. Finances can so easily spiral out of control, especially with the cost of today’s living. I’ve really changed my spending habits since having kids. Only debt now is a rather large mortgage. I wish I’d been better with money when I was younger so I didn’t get into problems. Love this post. It hit the nail on the head. You can’t have a champagne lifestyle on a lemonade income/budget.